Please read our FAQ Page before visiting the park. Minimum session time is 1 hour. All Sessions begin and end on the hour. There is no discount or refunds for partial sessions or unused session time. The park is open to anyone over the age of 5 years. All of our morning sessions are open to children aged 5-13 years. 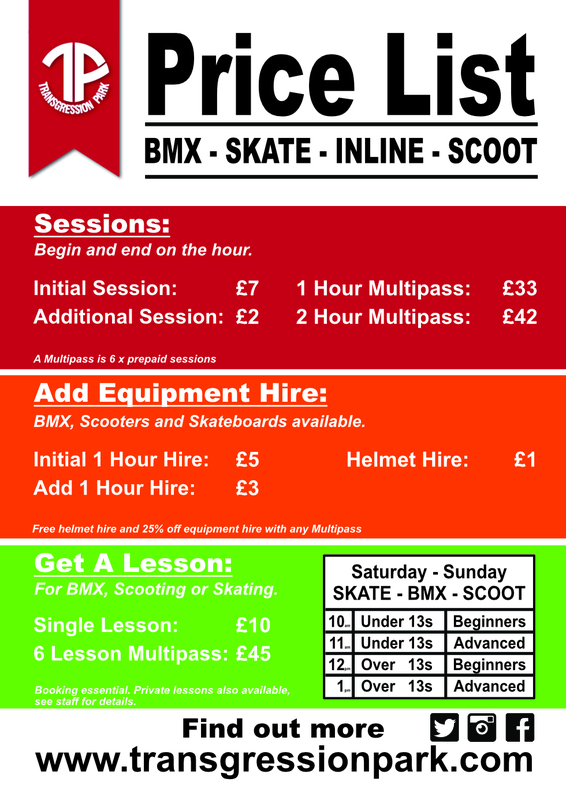 All of our Open Sessions are open to anyone over the age of 5 years. If you have any questions we are always happy to help, Just phone us on 0131 629 1831 or email hello@transgressionpark.com.